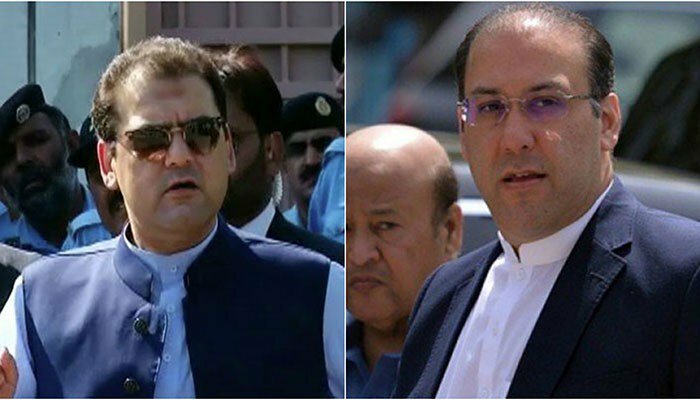 ISLAMABAD: An accountability court on Monday declared Hassan and Hussain Nawaz, the sons of ousted prime minister Nawaz Sharif proclaimed offenders in three corruption references filed by the National Accountability Bureau (NAB). NAB also presented a report in court regarding property owned by the brothers, which stated that the accountability bureau did not find any property in the country owned by them. According to NAB section 502, witnesses will also now record their statements in the case. The accountability court further ordered the authorities to present the accused before the court when they are arrested. The brothers, who reside outside Pakistan, are accused in all three references ordered by the Supreme Court in its July 28 verdict in the Panama Papers case: Avenfield properties, Azizia Steel Mills and Hill Metals Establishment, and Flagship Investment Ltd.
Judge Mohammad Bashir had on Oct 9, accepted NAB’s plea to declare Hussain and Hassan proclaimed offenders and separated their proceedings in the three references filed against them. Their non-bailable arrest warrants, issued on October 2, remain in effect. The judge had also directed for initiating the process of declaring them proclaimed offenders. This involved publication of notices in newspapers directing the accused to appear in court. Failure to do so would result in seizure of property and issuance of further warrants. On Oct 12, NAB posted the court’s proclamation order on the main gate of the Sharif family’s residences in Jati Umra and Model Town, Lahore. NAB Rawalpindi had stated the action was taken in light of the accountability court’s directions for the initiation of the process to declare them proclaimed offenders, as they failed to show up in the court’s last hearing. The court had also ordered the Securities and Exchange Commission of Pakistan (SECP) to freeze the assets of Hassan and Hussain.